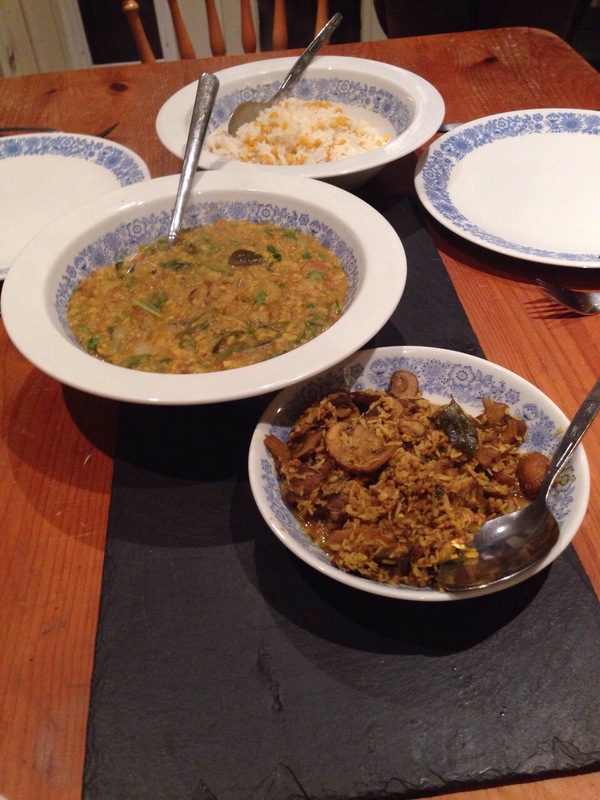 This is a really easy to make side-dish for a curry night. Start by heating the mustard and fennel seeds in a bit of oil. Add the curry leaves. Once the mustard seeds begin to pop, add the sliced mushrooms, garlic cloves, sliced chillies, turmeric power and salt and pepper. Reduce the heat and leave to simmer for about 15 minutes. Keep an eye on it. If the mushrooms become too dry, add a splash of water and a bit more oil. After the mushrooms have cooked through and reduced, add the grated coconut and fry for a further five minutes. This looks really great! Will have to give it a try on my next curry night. Mmm this does look simple and delicious. 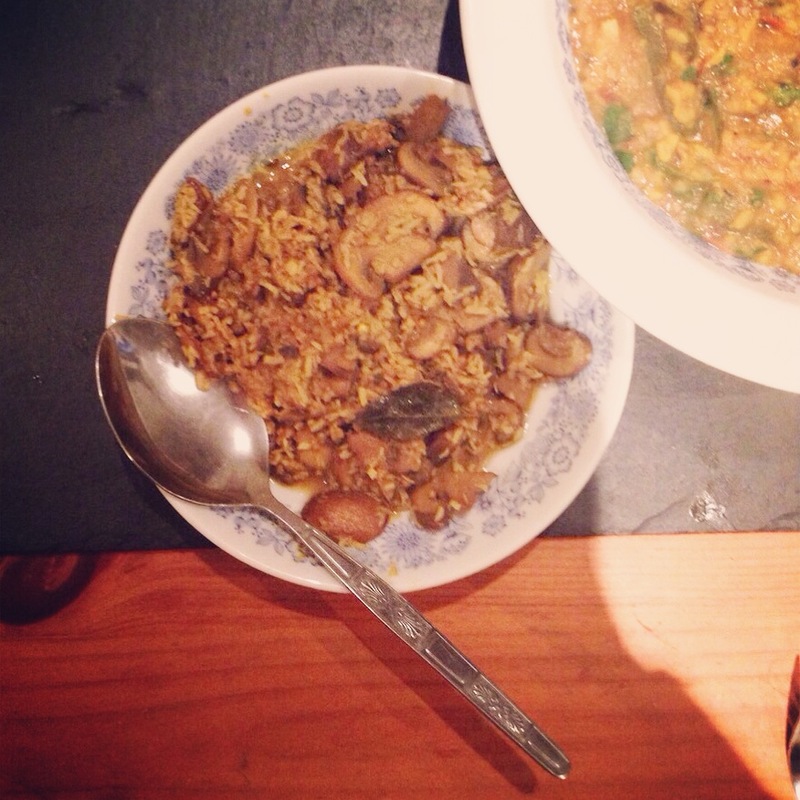 Can’t go wrong with mushrooms or coconut!